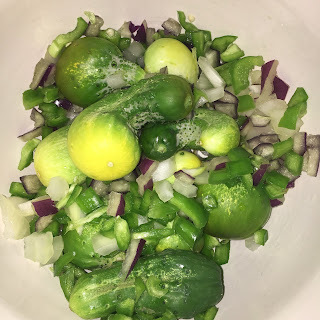 StepMusings: Veggie Garden: Part 3- PICKLING! 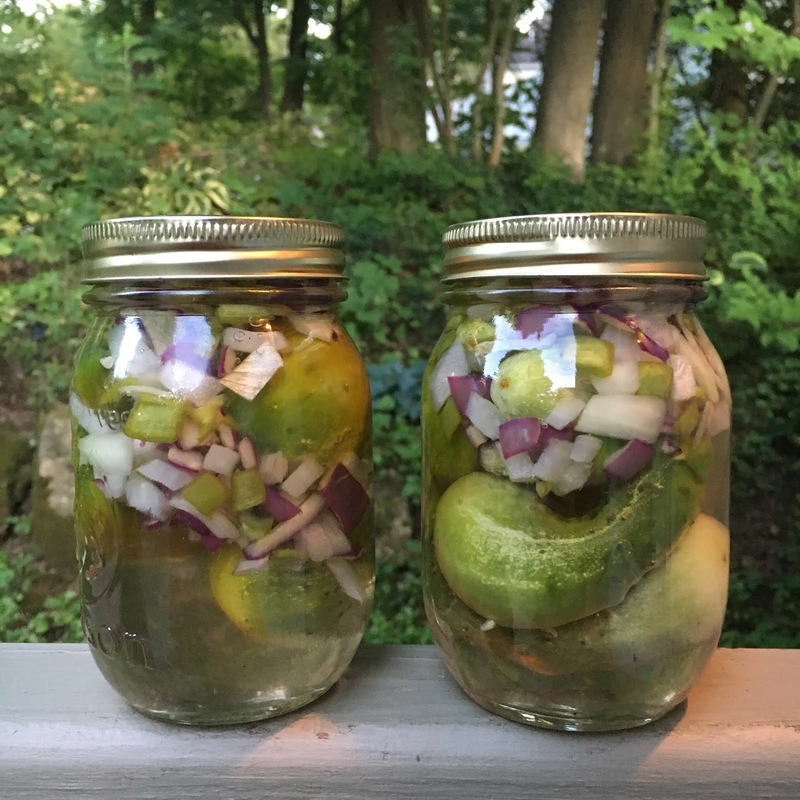 Veggie Garden: Part 3- PICKLING! We are up to roughly 30 cucumbers at this point and while we have sliced some up for salads the majority have gone to our two attempts at pickles! We made a grave error on our first attempt and did not slice our pickles first! We used onions and peppers from our garden and while our cucs got super deformed the consensus was still that they were a great homemade alternative to some bread and butter pickles at home! We let the bad boys simmer while were in Disney World for 8 days and returned ready to harvest our garden and try again! We loved returning to so many veggies grown (we have the best dog and house sitter)! We had a wonderful week of veggie packed meals (beef skewers with onions, peppers, eggplant/ fresh salads with berries, veggies, and beans/ eggplant parmesan from scratch/ caprese salad) and while my stepson heads out to sleep away camp soon he is excited to come home to more pickles to try! For our second round, we went with a dill recipe and made sure to slice them up first!